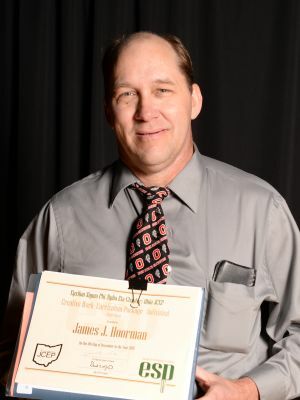 Jim Hoorman is an Assistant Professor and Extension Educator with Ohio State University (OSU) Extension specializing in Cover Crops, Soil Health, and Water Quality in Putnam County (Ottawa) Ohio. Jim has worked in OSU Extension for 25 years. Jim has a Bachelor’s degree in Agriculture (1984), a Masters of Arts degree in Business (1987) and a Master of Science degree in Agricultural Economics (1987) from OSU. He is working on a PhD in Environmental Sciences at OSU. His research is on using cover crops to increase soil organic matter, to tie up soil nutrients (N-P), to increase water infiltration and improve soil structure, and to decrease soil erosion. Jim has been the Ohio Chair Search for Excellence (poster session) for 10 years, and a reviewer for the Journal of NACAA (National Association of County Agricultural Agents) for 7 years. He is the Past Secretary of the Conservation Tillage Conference, Ohio Representative to the Midwest Cover Crops Council, and recently Past President of the Ohio Soil & Water Conservation Society.